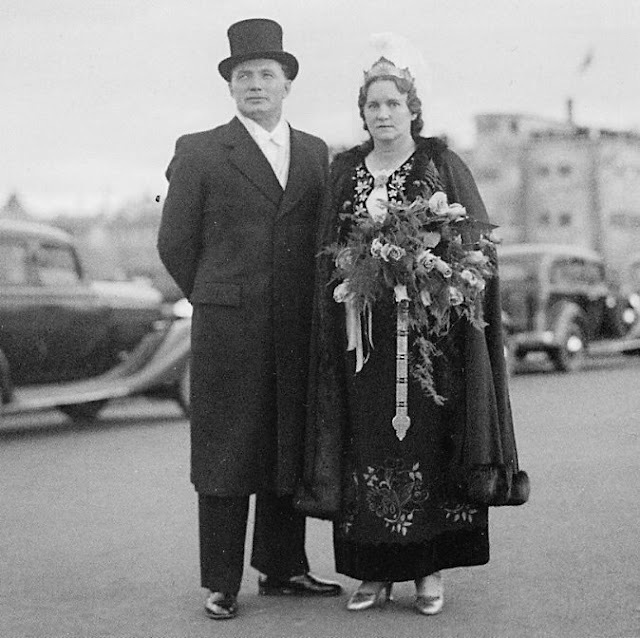 Today I continue my discussion of the National costumes of Iceland with a description of the last two types, Skautbúningur and Kyrtill. 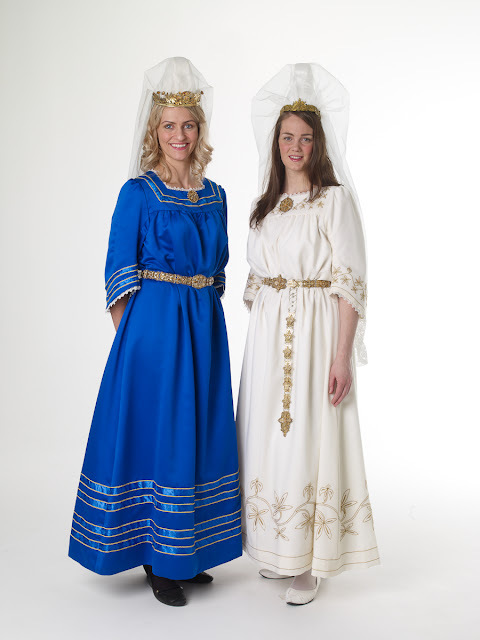 Both of these were designed by the artist Sigurður Guðmundsson in the 19th century. 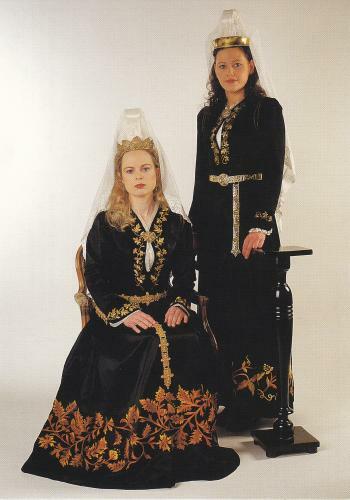 The designing of Folk or National costumes by a particular person is more common than one might suppose. Other examples are the Swedish National Costume, the Amalia Costume of Greece, and the Nestor Costume of the Canary Islands. 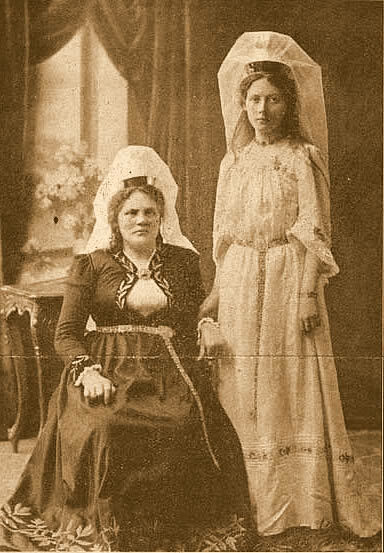 Some of these costumes catch on, others die out. 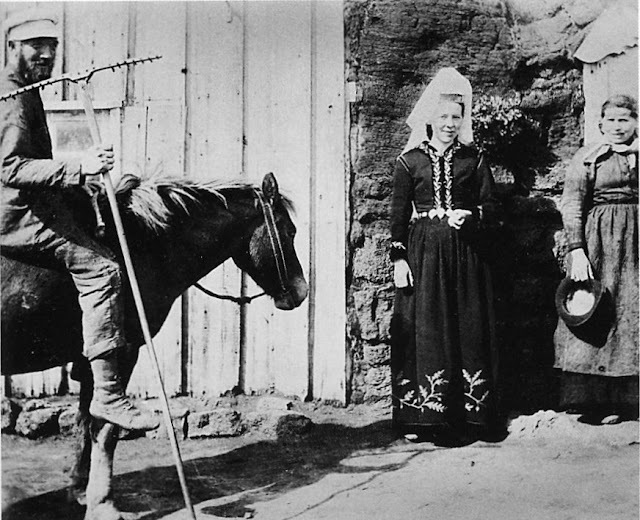 Both of the costumes designed by Sigurður are still in use, although not as common as the other types. 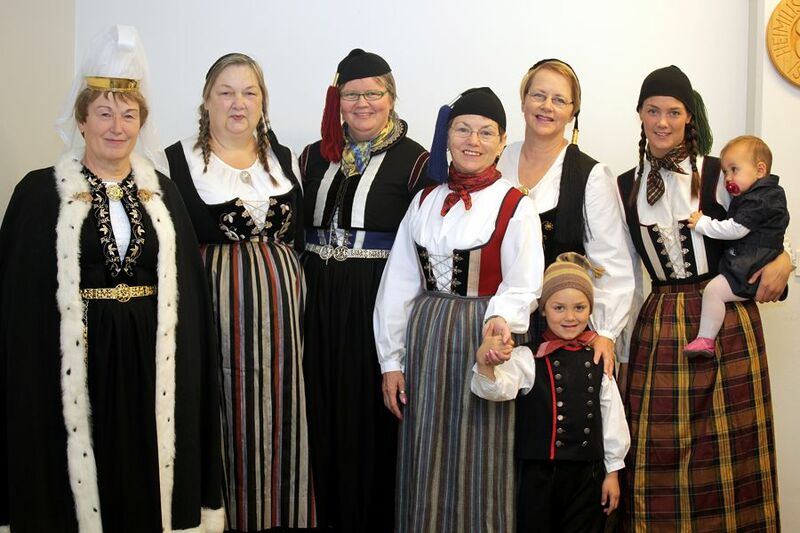 The Skautbúningur is shown above. 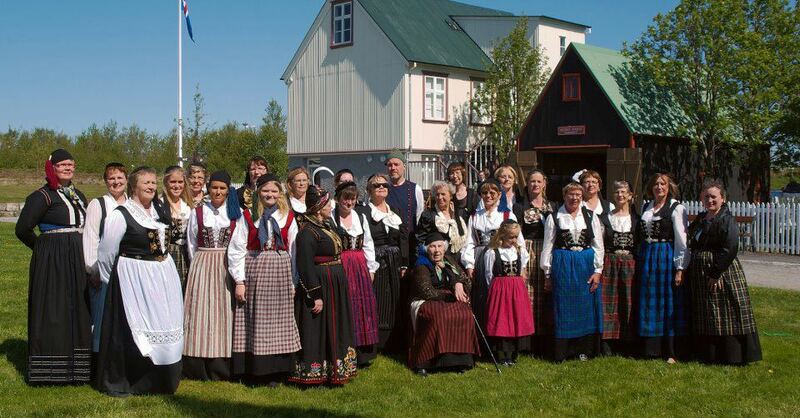 It is an attempt to modernize the older costume, the Faldbúningur and was always considered to be a formal costume. Here is a schematic showing the various pieces of this costume. You will notice the headdress, which is adapted from the krókfaldur. It consists of three pieces, the cap itself, which resembles the old krókfaldur greatly, except for being much shorter. 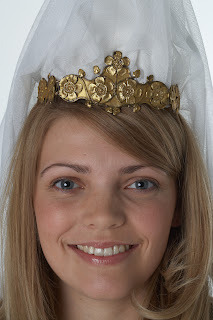 A metal circlet, or tiara, which encircles the base of the cap, which may be plain or more highly ornamented. And the veil, which is anchored by the tiara, hangs far down in back, and is secured by a white satin ribbon. 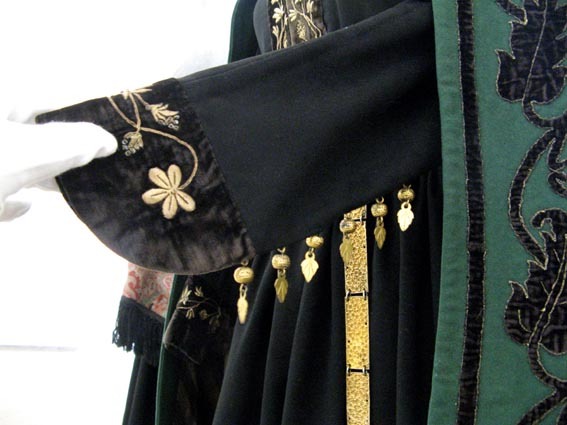 The jacket resembles that of the Peysuföt greatly, except that it has no satin tie and is always embroidered around the front opening and collar, either in gold, silver or silk. 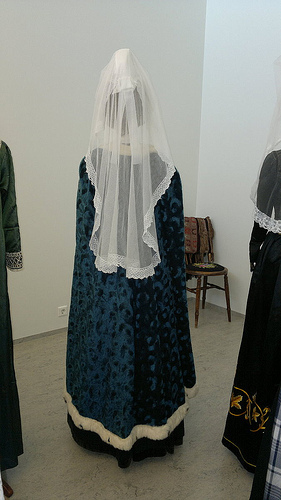 In this photo you can see the lace covered plaston, as in the Peysuföt, and for the same reason. 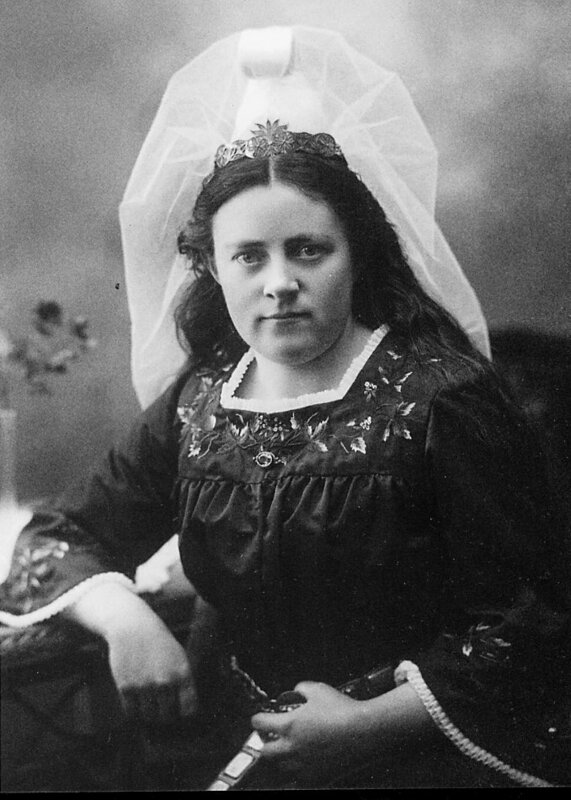 The jacket is held closed by a pin, an old Scandinavian tradition. 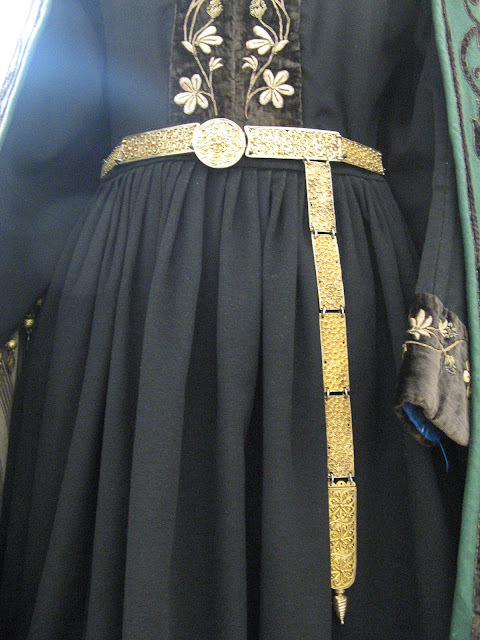 A highly ornamented metal belt is worn with this costume, which often has a piece hanging down. The cuffs are ornamented with embroidery, and sometimes with fancy buttons. 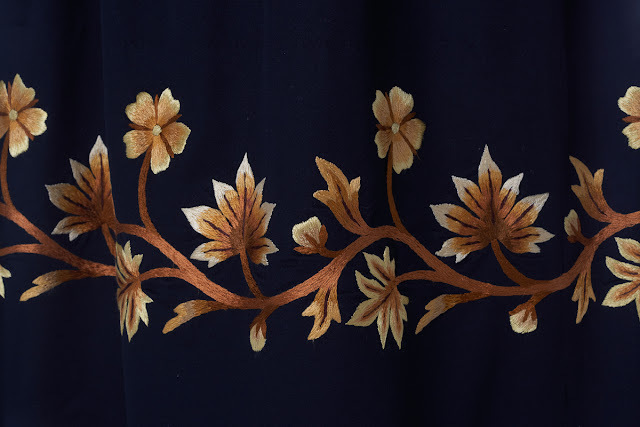 There is no apron, in keeping with 'modern' ideas of the time, but the skirt is embroidered with foliage or floral motifs, most commonly in shades of brown in silk. 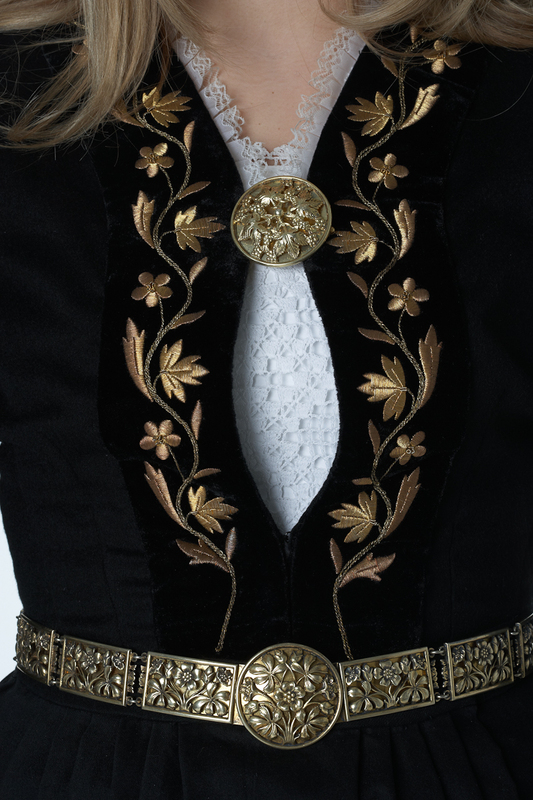 There are various pattens, and the extent of the embroidery varies. 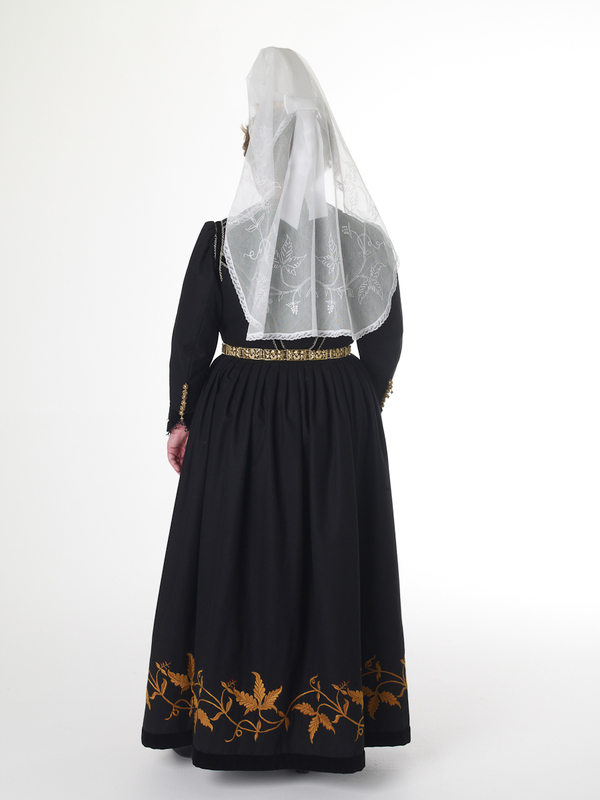 In all, this is an elegant costume, and deserves to be still worn today. A few more images of this costume follow. When needed, a cape is worn with this costume. Note that the jacket did not always gap in front. 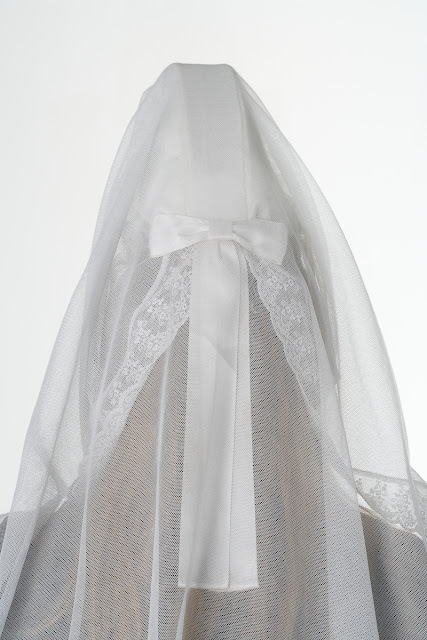 In some versions of the costume, the veil is made shorter. 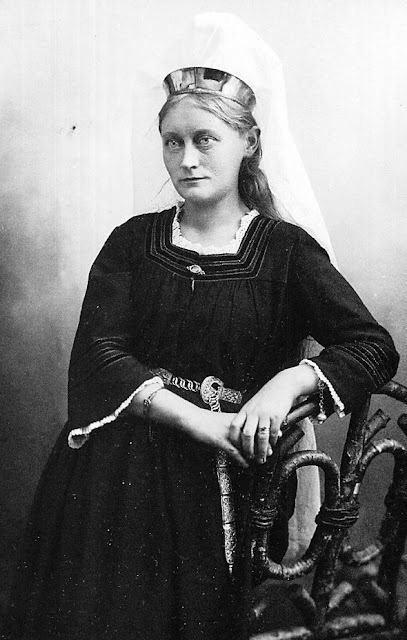 The second costume designed by Sigurður Guðmundsson is the Kyrtill. 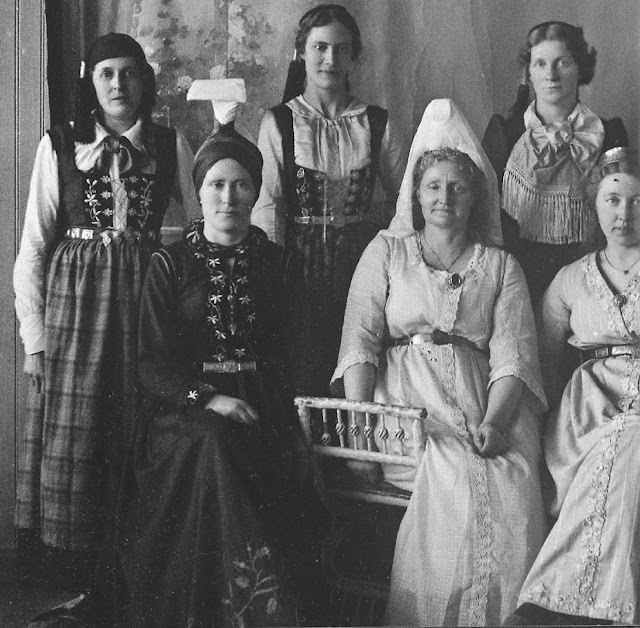 Here is a photo showing a seated woman wearing the Skautbúningur and a standing woman wearing the Kyrtill. The Kyrtill is Sigurður's idea of a Viking garment. It is a simple dress with 3/4 sleeves cut at an angle. 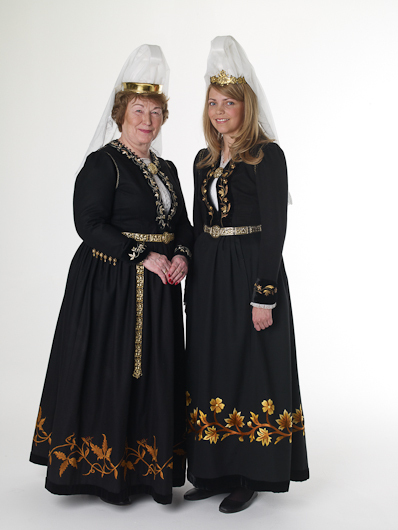 It does, however incorporate Sigurður's version of the krókfaldur and the belt which is worn with the Skautbúningur. Here is a schematic of the Kyrtill. 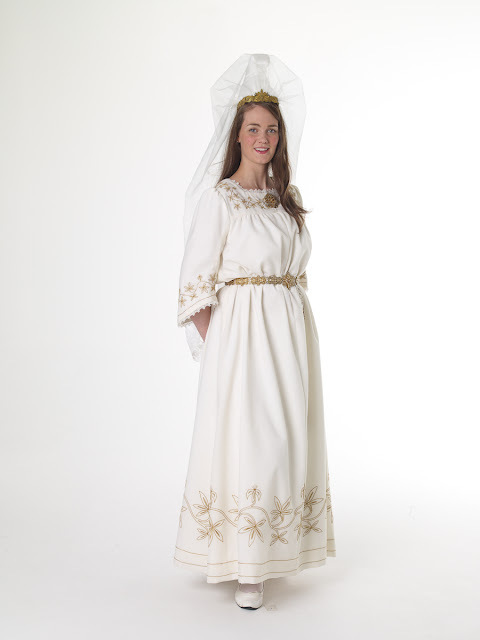 It has a square cut yoke, into which both the sleeves and the body of the dress are gathered. 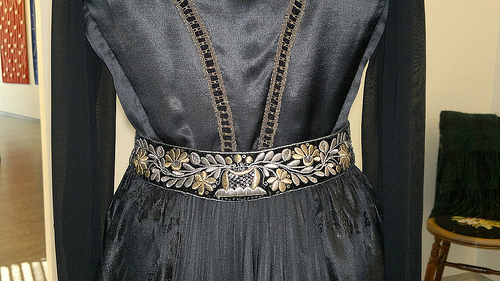 It is often ornamented with one or more rows of ribbon, and is sometimes embroidered. 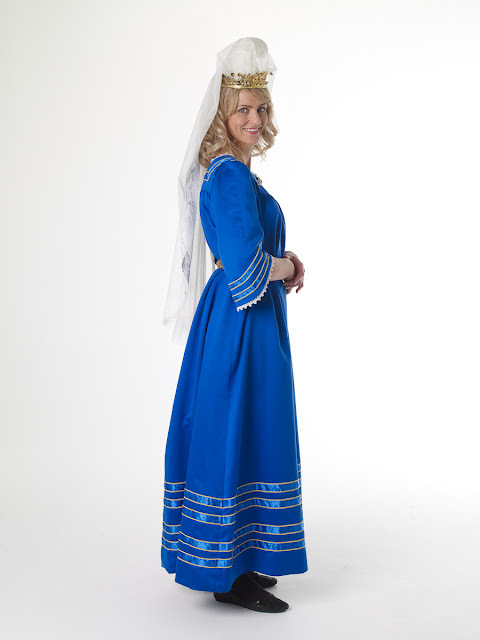 Otherwise, this is a very simple garment, and not similar to what the Viking's actually wore, as we now know from archeological finds. 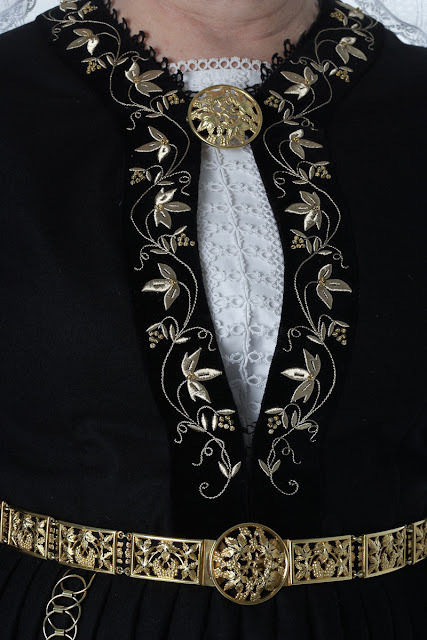 It is made in various colors, most commonly black, blue, or white. A good article on the various types of buningur. The Iceland national costume website. I have relied heavily on this site for information. Great Job indeed.Keep it up! I have found no information on this. Upon examination, it would appear that three different plant species would perhaps be represented, one of which resembles periwinkle. 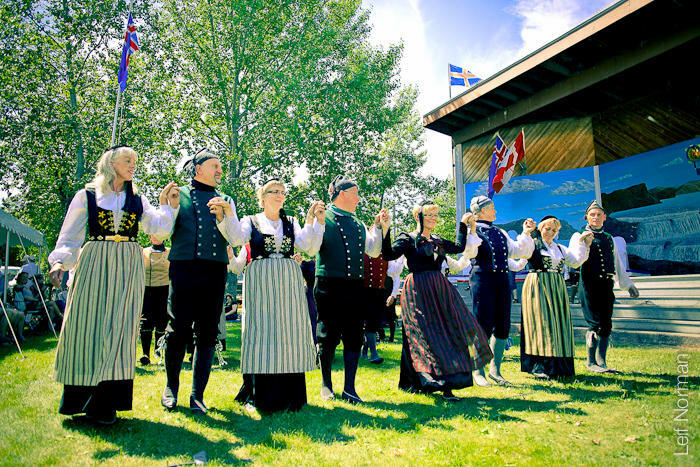 I do know of several Norwegian drakter invented in the 20th century which show very naturalistic representations of native flowers, the Oslo Drakt, for example, and one from the far north which features dandelions. The older embroidery was very stylized, but it is possible that these motifs were based on local flora. Thank you for all the photos and insights. Are you able to give any information about what was worn underneath the Skautbuningur costume? 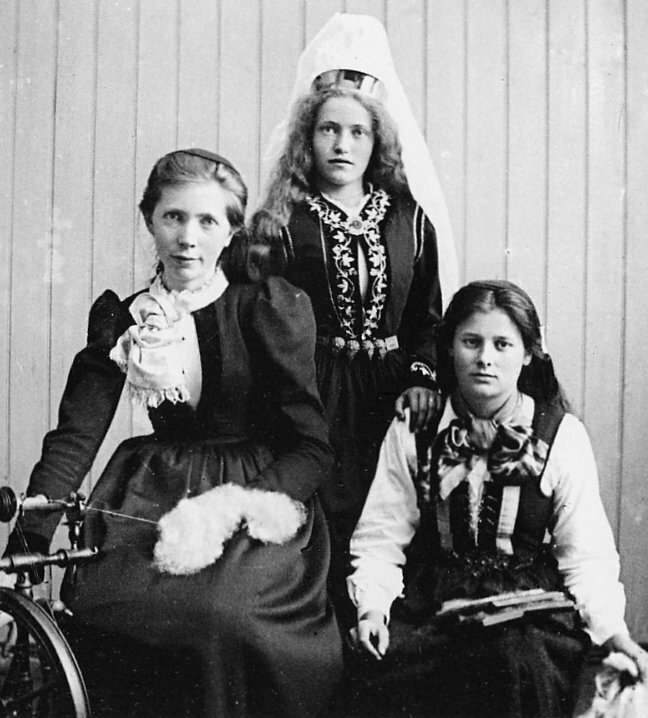 Shift+blouse+petticoat? 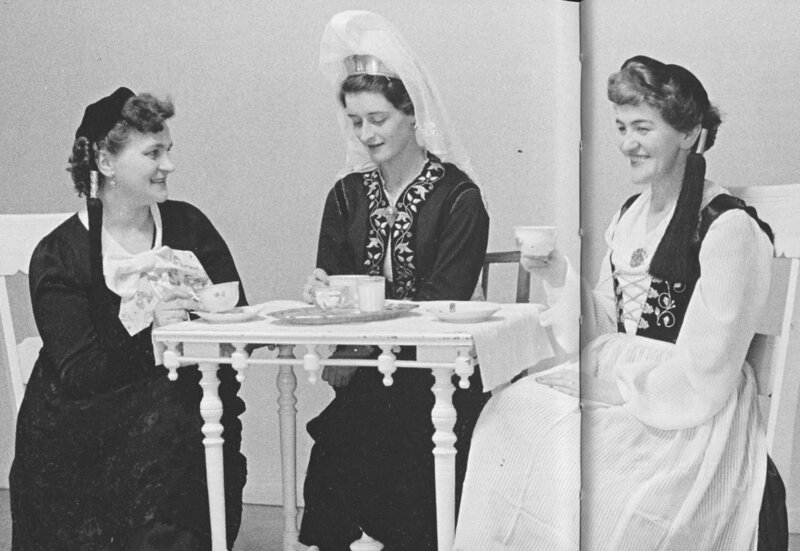 Maybe just a blouse in modern times? 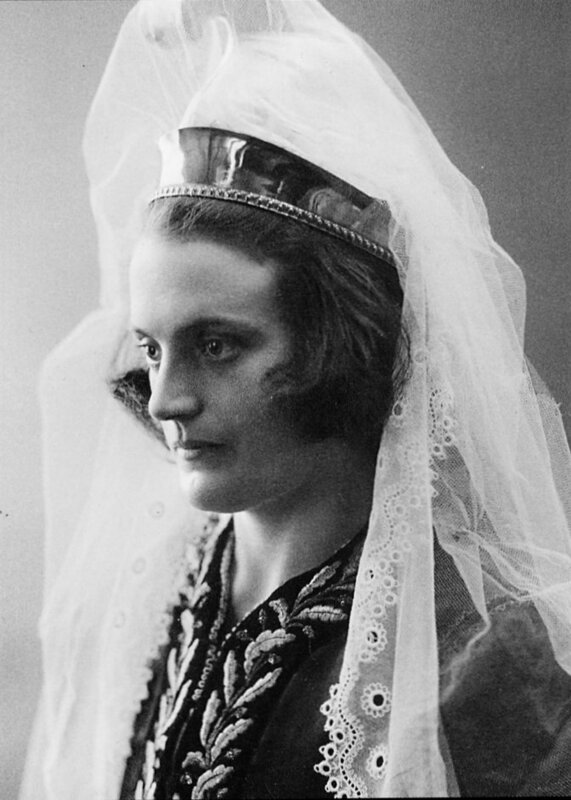 It appears that modern times have introduced some flexibility in headwear, do you know if is this dictated by age or marital status? Or maybe just the tastes of modern women? I've recently been commissioned to create this costume and appreciate any insights.